III. 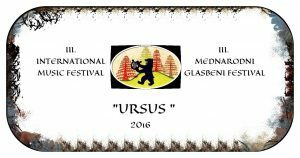 “Ursus” 2016 – "URSUS"
This summer the 3rd International music festival “Ursus” is presenting three concerts with exciting vocal performers. 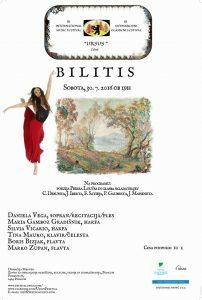 A brazilian singer/performer Daniela Vega will be joined by selected musicians to create a project based on Debussy’s “Bilitis“. Then you will hear Schubert’s complete song cycle “Die schöne Müllerin” performed by the tenor Alexander Hüttner. And for the final concert Slovenian traditional songs will be sung by the local Zagorski oktet. 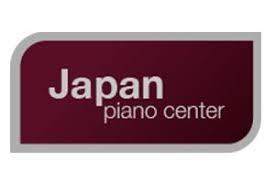 We are looking forward to seeing you there!